So, you are planning your wedding and thinking about the style of your big day. Do you want it to be formal, more casual and relaxed, traditional? There are so many options. Maybe you never gave it too much thought, but you’re realizing that this decision will help make several other decisions in your wedding planning process, like your venue, dress, and stationery choices. All these decisions should flow with the style of your wedding. The style you choose will also dictate how you’d prefer your guests to be dressed on your big day. So, if you’re leaning towards a more formal event, you wouldn’t want your guests showing up in attire that would be more appropriate for a beach wedding, and vice versa. If you want a more casual and relaxed environment, you don’t want your guests to arrive wearing tuxedos and ball gowns. So, in this post, I’m breaking down the wedding attire mystery. This will give you an understanding of how you want your guests to be dressed and what attire verbiage you want to include in your invitation suite, so your guests know exactly what the appropriate attire is for your wedding celebration. The style of wedding you choose is completely up to you, but you want to be as clear as possible and not send mixed signals with your correspondences. So, you want to be sure that whatever style you choose, that your stationery choices matches that style. Remember, the formality of your invitation is usually a good indication of how formal your wedding will be. So, even if you decide not to put the dress code on your invitation, your guests should be able to assume how they should dress just by looking at your invitation. As we go into the different types of attire, I want to mention that the attire for men will have the most changes. So really consider how you want the men to dress at your wedding, because for the most part, the women’s attire will differ slightly (mostly in dress length). Let’s get to it. This is the most formal of all the attire types and it’s not used much anymore. The dress code is very strict and is usually reserved for events that host dignitaries and royalty (think, the White House State Dinner). For ladies: A formal, floor length gown with heeled shoes. Gowns made of elaborate material with embellishments like sequins fit well here. For men: A black tuxedo with long tailcoat, a formal white shirt, a white vest, a white bowtie, and white gloves with formal black shoes. This is the dress code that most people refer to when they want a super formal wedding. This attire is appropriate when your wedding will take place in the evening. For ladies: A formal floor length gown, or dressy cocktail dress with heeled shoes. For men: A dark tuxedo (black or gray), a formal white shirt, a black vest or cummerbund, a black bowtie with black dress shoes. For summer weddings, a white dinner jacket with black tuxedo pants are also acceptable. This attire type is slightly less formal than “black tie,” but is still appropriate for a formal wedding. It gives the men the option of wearing a tuxedo or a dark suit. For ladies: A long dress, dressy separates, or dressy cocktail dress with heeled shoes. For men: Same as “black tie” or a dark suit and conservative tie. This dress code is most popular for weddings that occur during the day but can be appropriate for evening weddings as well. For daytime weddings, lighter colors and cooler fabrics are appropriate, while for evening weddings, darker, more formal colors are preferred. For men: A suit (dark or light in color depending on the time of day and season) with or without a tie. This attire type will usually depend on the wedding location and time of day. It is appropriate for weddings that are much more laid back and relaxed or that occur outdoors or on a beach. The attire can vary and be as formal as a sport coat or as casual as a polo and shorts. For ladies: A summer sun dress with sandals or flats. For men: Dress pants or relaxed pants (like chinos or khakis), a button-down shirt, sweater or sport coat with casual shoes like boat shoes or loafers. You may be incorporating your culture into your wedding day and would like for your guests to dress in traditional attire. If so, using “traditional” as the attire type will let them know that you encourage them to wear your culture’s attire. But be descriptive when you include this on your stationery. For instance, instead of just “Traditional Attire”, you should say “Traditional Nigerian Attire” or the specific name of the attire. In most cases, your guests will know your culture, but it’s better to be specific so there is no confusion. You will probably need to explain these dress codes to your guests because they are not as popular. You can include an insert with your invitation to explain exactly what your attire wishes are. This attire type works when you want your guests to show their personality and have fun with their outfits. For ladies: A long dress, dressy separates, or dressy cocktail dress with heeled shoes, incorporating statement jewelry or handbag or a creative headpiece. For men: A suit with a unique tie, colorful socks, or jacket in a unique material and color. This dress code is appropriate if you want your guests to wear clothing that fits into a certain theme. For ladies: A cocktail dress or party dress in a fun color, paired with playful accessories that go with the theme. For men: A suit jazzed up with a bright tie that goes with the theme. This can be a range of dress codes. You can have a certain color palette you want your guests to stick to. Or maybe a location inspired dress code, like “Parisian Inspired”. One thing I recommend is if you have a wedding website, put your dress code on your site with an explanation and examples of what is appropriate. This way, if anyone has questions about it, the information is there. Also let your family and bridal party know what your dress code wishes are so when people ask them, they know exactly what to say. 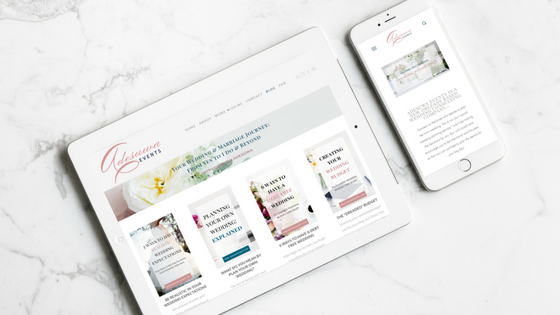 In case you don’t already have one, I’m giving you a list of my favorite sites where you can build your wedding website.